Collagen is an ingredient you’ve probably heard a lot about, yet you might not be sure what it is exactly. 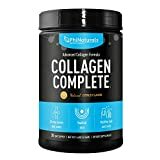 For those wondering, collagen is a structural protein in the connective tissues of our bodies. That includes our hair, muscles, and bones. It makes up about 30% of our entire body’s protein content. Collagen is made up of amino acids such as glycine, lysine, and proline, which are used to repair muscles, bones, and joints. While our bodies naturally make collagen from those amino acids, the amount in our bodies also decreases as we grow older. By the time you’re in your twenties, your body just isn’t repairing itself the way it used to. That decrease can lead to irritants like wrinkles, cellulite, sagging skin, creaky joints, and more. That’s where collagen supplements come into play. Ingesting collagen helps with the decreasing levels in your body. That means you’ll see improvements in your hair, skin, and nails. A small study in Current Medical Research and Opinion found that collagen supplements even helped to lessen joint pain. Before you use collagen supplements, it’s probably a good idea that you understand a bit more about them. A. There are different types of collagen. 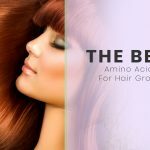 Each is full of various amino acids or peptides. There are also different kinds of ways to ingest it, from mixing a powder into a beverage to taking pills to rubbing it into your skin. B. 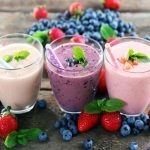 Some of the amino acids found in collagen have the aforementioned glycine, which can help with digestion and reduce inflammation, leading to a healthier stomach. C. As with any supplement, the FDA (Food and Drug Administration) doesn’t regulate collagen supplements. They only take a look if people get sick from using it or if the manufacturer claims it can cure something. However, there are some third-party companies you can check out who look for contaminants in supplements. D. If you’re determined to try a collagen supplement, it’s best to give your first shot a couple of months at first. If any health risks arise, they’ll be minimal, yet it’ll also be enough time to see if any benefits arise from using the product. If you’ve decided to go on a collagen supplement journey, it can be overwhelming to shop. There are so many options, it’s difficult to know what to begin or what may work best for you. Don’t worry, as we’ve compiled a list of the best collagen supplements available and what fits your needs best. Collagen clearly strengthens the things we’ve listed for every other product so far. 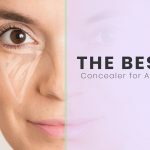 The NeoCell Collagen Powder takes it a step further, with a product that helps to repair connective tissues and improve circulation. By this point, it’s clear how important of a nutrient collagen is. Along with all the typical things collagen helps with, this product also ensures the health and vitality of your tendons. These peptides work the same way as the other powdered ones on the list. Also known as “Collagen Complete,” this advanced collagen formula supports healthier nails, skin, hair, joints, and bones. 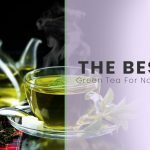 It’s possibly the top choice for that combination of feeling better and looking younger. Collagen is the main protein in our body that provides us with skin elasticity. With ForestLeaf’s Advanced Collagen Supplement, you’ll get a boost that can maintain that skin elasticity. Perfotek’s Hydrolyzed Collagen Peptides are loaded with 18 amino acids, made to rejuvenate and revitalize your body. It prevents loose or sagging skin as well as wrinkles. The fish gelatin used here is hydrolyzed to a low 3000 Delton molecular weight, giving it maximum bioavailability. 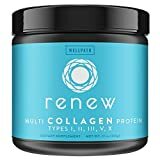 WellPath’s RENEW is one of my favorite collagen supplements available anywhere. It’s packed with plenty of sources of natural collagen peptides, all rich with nutrients. The Orgain Collagen Peptides are another in the line of supplements packed with healthy options. In fact, the full product listing on the site includes information telling us that it is completely gluten, soy, and GMO-free. Again, this is a product that promotes things like youthful skin, healthier hair, and stronger joints and nails. This collagen powder is also great in both hot and cold liquids, making it an easy mix for whatever your needs are. The Flamingo Supplement gummies are healthy and risk-free. Not only are they made from some of the best ingredients available, but they work for both men and women. Sure, most of us wouldn’t mind looking a bit younger, but if stuff like faster healing times from wounds is essential to you, this may be the product you’re looking for. It can also help correct damaged areas of nails. Even more, this collagen powder has been known to increase skin firmness, as well as improve your hydration. The 6,600 mg of collagen per serving ranks this product among the highest in that category. Large amount of collagen per serving. Works to repair tissues and circulation. Results appear in just a few weeks. Only available through third-party sellers. Some consumers complained of odd taste. It can be consumed in warm water, as well as in foods like oatmeal, soup, and yogurt. To properly use it in cold water, your best bet would be to mix it in room temperature water and then add ice to your liking. While plenty of other products are listed as compatible with the many diets available, this one is properly approved. The Paleo and Keto Foundation certified it, while the IGEN program verified it as non-GMO. Money back guarantee if no results in 90 days. Verified by multiple third parties. Doesn’t mix easily in cold water. Some have had issues with an inconsistent quantity in container. One area where this product overshadows the competition is in the amount of collagen you get for your buck. Most supplements provide between 1,000 and 2,000 mg per serving. However, this one gives the consumer a crazy 10,000 mg per serving! This is premium bovine collagen and it has been verified as non-GMO. The product is kosher certified and includes more than three kinds of collagen. It also comes in a flavorful citrus blend. You get extra collagen per serving. Free of hormones and antibiotics. Can be too sweet for some. Collagen is the main protein in our body that provides us with skin elasticity. With ForestLeaf’s Advanced Collagen Supplement, you’ll get a boost that can maintain that skin elasticity. It’s also beneficial for hair growth and nail strengthening. It’s not just about the way you look either, as this product makes you feel better too. It improves the overall health of your skin, while managing to reduce your risk of bone fractures. It’s designed to both boost your strength and improve your flexibility. Even more of a benefit is the all natural ingredients used in this supplement. These veggie capsules are non-GMO and include no gluten, eggs, dairy, or nuts. They are among the more rigorously tested products on the list, to ensure your digestion won’t go awry. Often, you’ll order a product like this and feel like you didn’t get enough. That’s not the case with this ForestLeaf product, are one order provides you with a quantity of 240 capsules. That’s enough to last you two months. Large quantity of capsules = great value. Works great for anti-aging and joint flexibility purposes. Test often for best results. Only three types of collagen available. Not a ton in stock online so refills could be hard to come by. Perfotek’s Hydrolyzed Collagen Peptides are loaded with 18 amino acids, made to rejuvenate and revitalize your body. It prevents loose or sagging skin as well as wrinkles. Taking this product might be ideal for you if you crave a more youthful look. Each order of this product comes with a whopping 41 servings. Then, each of those servings is then packed with 11 grams of unflavored peptides that are easy to mix and absorb into your body. Along with the physical positives from using this product, your joints will be less likely to swell and stiffen up. As with many of the other collagen supplements listed, this one is made with some of the best ingredients around. Everything used is either grass-fed, pasture-raised, and non-GMO. Results in less time than most other supplements. The one pound amount is more than sufficient. The beef flavor may not work for everyone. Not good for people with sensitive stomachs. Yes, it helps you age gracefully with glycine and yes, it provides you with stronger nails and smooth, clear skin. But, where Amadean’s Marine Collagen makes itself stand out is how it helps clear up skin with its natural included nutrition. The “marine” in the name comes from the fact that these peptides are sourced straight from wild caught fish straight out of the North Atlantic. Some collagen supplements are sourced from farm-raised fish and are packed with antibiotics and hormones. That’s not the case here. The fish gelatin used here is hydrolyzed to a low 3000 Delton molecular weight, giving it maximum bioavailability. It makes this one of the purest supplements out there, which is great if that’s what you’re looking for. More bang for buck due to the size of the container. Promotes smooth and clearer skin. Is one of the pricier supplements listed. Has caused stomach problems for some consumers. WellPath’s RENEW is one of my favorite collagen supplements available anywhere. It’s packed with plenty of sources of natural collagen peptides, all rich with nutrients. RENEW might just be the best collagen powder if you’re interested in retaining or regaining that youthful glow. The benefits are plentiful, providing you with tighter skin, stronger joints, and better-looking hair and nails. Along with those improvements to your health, you can also count on RENEW to be compatible with a number of diets. The odorless, unflavored powder is both keto and paleo friendly. It mixes in with almost any meal, baked good, or liquid, though we’d say it’s probably best with a smoothie or broth. One of the things about RENEW that stands out is the variety given to us consumers. 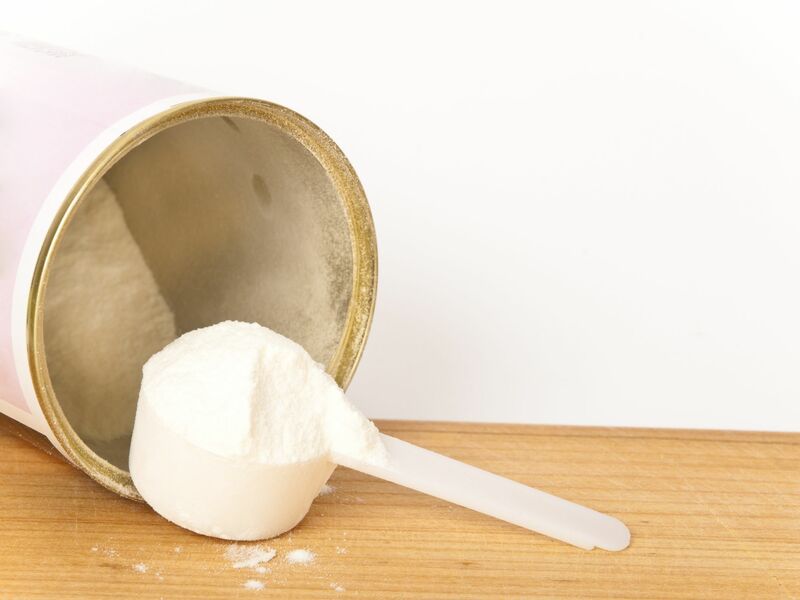 There are five different types of collagen (known as I, II, III, V, and X) and a powder for each. They feature ingredients sourced from grass-fed bovine, cage-free chickens, and wild caught fish. WellPath’s RENEW is also both soy and gluten-free, making it one of the safest options on the market for all of us. With each type of collagen comes something specific. Type I assists with bone structure, while Type II helps build cartilage and increases joint comfort. Type III works on the development of blood vessels and tissues, while Type V is often found on the surface of cells. Lastly, Type X is key to creating articular cartilage. Available in all different types of collagen. It is friendly to all diets. The product comes at a very affordable price. The flavorless powder may not appeal to everyone. It is taste free and mixes in easily with almost anything, from water to smoothies to coffee. It can be baked into any food while boosting your metabolism and improving digestion. These peptides can also help with joint pain and the growth of hair and nails. 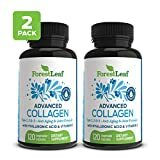 The product is filled with 20 grams of pure hydrolyzed collagen peptides, featuring 18 grams of protein, amino acids, and type I and III collagen. It is paleo friendly, making it perfect if that’s your chosen diet. Lastly, Orgain Collagen Peptides were developed by doctors, so you can feel even better about the health aspects of it. It also comes in one or two-pound containers, providing consumers with a large quantity of supplement. Easy to mix into foods and liquids. Developed by doctors, making it safe. Sizeable amounts in each shipment. Can take a long time to begin to show effects. Those of you on the Whole 30 program will most likely find this to be the collagen supplement best suited for you. It’s Whole 30 approved, along with being gluten and dairy free, all while providing you with 20 grams of collagen. 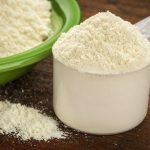 Along with being Whole 30 approved, the only product on this list to have that seal of approval by the way, Vital Proteins’ Collagen Peptides has other healthy attributes. It is also free of hormones and preservatives. High amount of collagen and glycine per serving. Benefits can show within two weeks. Can have a strange odor. There have been reported issues with shipping. There’s a lot of people out there who just don’t like taking pills. That’s okay because Flamingo Supplements have their Hydrolyzed Collagen Gummies as a possible alternative for you. No longer will you have to concern yourself with something flavorless, as each set of gummies comes packed with a tropical fruit flavor. Despite tasting like fruit, there are no artificially added flavors to these gummies. No GMO, gelatin, additives, or harmful substances. And, these gummies are perfectly in line with kosher and halal diets, making them perfect no matter what your needs are. Like the other collagen supplements, this product strengthens your nails and hair, while also improving your joint health. 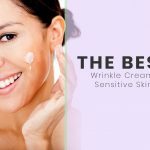 If you want to do what you can to hold back the hands of time, this product helps by smoothing out facial lines and wrinkles. The Flamingo Supplement gummies are healthy and risk-free. Not only are they made from some of the best ingredients available, but they work for both men and women. Throw in the fact that they come in so many different flavors and you’ve got a winner of a product. Comes in multiple fruity flavors. Money back guarantee if product doesn’t work. Easy to consume due to taste. Only covers three of the five collagen types. Any of these ten products are a good bet if you’re looking to replenish your collagen levels. They’re all filled with what you need to strengthen parts of your body and regain some of that youthful glow from your glory days.